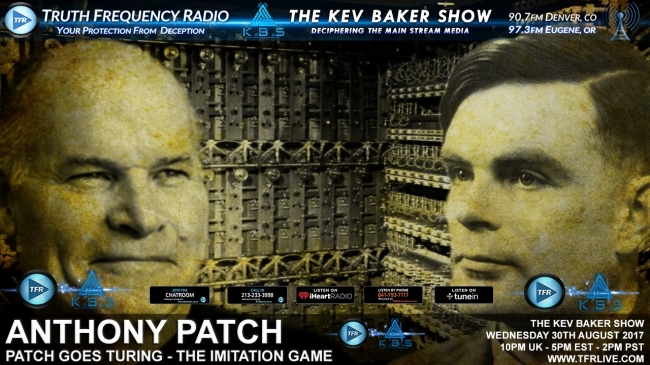 Anthony Patch joins me to discuss the latest with Hurricane Harvey & then we take a close look at an Alan Turing paper from 1950 entitles “Computing Machinery & Intelligence” – a scientific paper on ARTIFICIAL INTELLIGENCE…. IN THE 1950’s. But it doesnt stop there, because we go further back in time to look at visions of the future we are now living in. We go to the mid 1800 and show that they too were having similar discussion that we have today – about artificially intelligent machines. All this & our star himself, Mr Johnny Whistles joins us in Hour 2 of the broadcast & adds his unique perspective to the mix.